Happy New Year to my fellow photography enthusiasts! To start off 2016, I thought it would be nice to put together a brief post and contribute back to the inspiring community that my good friend Steve Huff has worked hard to build and sustain. 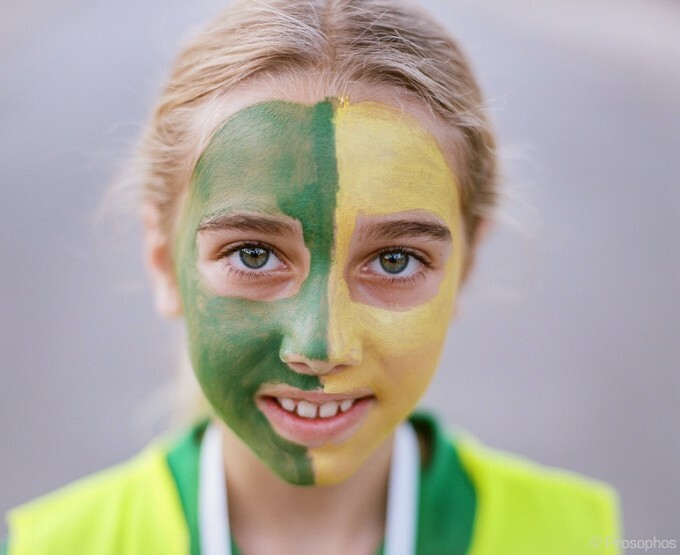 In the past, I’ve written about using the Leica M9 to photograph children’s sports and family vacations . Similarly, I’ve written about the Leica M3 in the same context. This time around, I thought I would switch gear(s), so to speak, and discuss something completely different… the Mamiya RZ67. Yes indeed, a discontinued medium format film camera. Did I mention it’s 2016? Now, you may notice something different about this camera vs. the previous gear I’ve used: it’s, um, ever-so-slightly… bigger. Well, it’s not just bigger – it’s a whole lot bigger. In fact, when I first decided a few years ago to purchase a used RZ67, I thought for sure I had made a big mistake. Besides being a lot larger and heavier than anything I’d previously used, it was decidedly slower. For a photographer who enjoys photographing Life’s Little Moments, I was embarking on a journey that would likely limit me to photographing Life’s Lagging Moments. So why did I ever consider the RZ67? The answer lies partly in the fact that I really enjoy creating images with film (something about the way the light is captured on this venerable medium that is simply wonderful), and medium format has always been a kind-of a “Holy Grail” format for me. You see, I grew up in the pre-digital camera era where “real photographers” used medium format. Silly notion, I know, since many of the best images I’ve seen have been created on 35mm film (and 35mm digital) and these days impressive images are created using iPhones. Still, it was a mental block for me that I needed to push through. I had to scratch that itch, climb my personal Mt. Everest, (insert your favourite cliché here) and dive into medium format. The rest of the answer has to do with my view that photographing family and friends is an important and worthwhile pursuit (http://www.stevehuffphoto.com/2012/04/02/photographing-your-family-with-the-best-photo-equipment-you-can-afford-by-peter-prosophos/ ). My research on the Mamiya RZ67 had brought me to the realization that images from this camera had a special quality to them that I suspected – beyond the inputs provided by the camera, lenses, and of course photographer – was attributable to the larger “sensor” size. 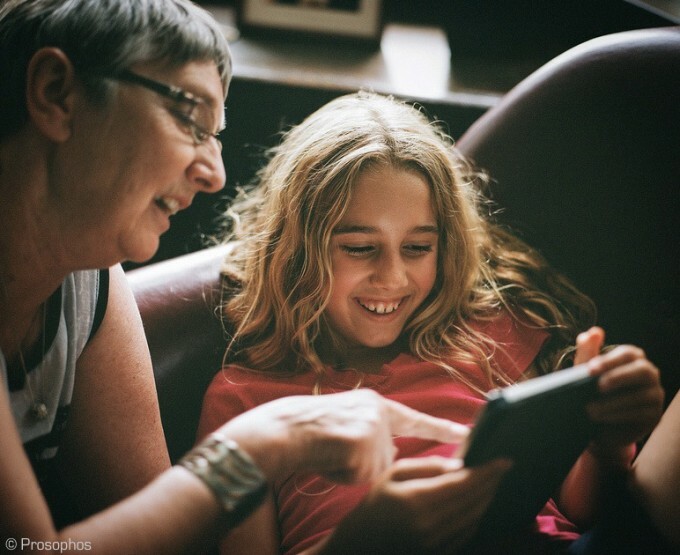 I wanted to harness the qualities of this larger sensor to create images of my loved ones. How large a “sensor” does a medium format film camera (like the RZ67) have vs. digital “full frame” cameras (or even medium format digital cameras)? Now, not too long ago, 36MP digital sensors were introduced into 35mm (full frame) cameras. Not too long after that, many photographers concluded that these pixel-rich 35mm cameras out-resolved medium-format film cameras and rivaled even medium format digital cameras. That may or may not be true, but the resolution in an image vs. the overall “look” of the image are very different concepts, and the “look” you get out of a larger sensor is perceptively different: the tonal transitions are subtler, the separation of subject matter from the background is more natural, and the overall rendering is somehow “more grand”, especially in the context of portraiture. …and this brings me back to what I wanted to accomplish with the Mamiya RZ67: to create images of my family and friends that were imbued with a quality I couldn’t replicate with either 35mm digital or 35mm film. I’ll let you judge. We all see things differently, figuratively and literally, so I don’t expect everyone to agree. 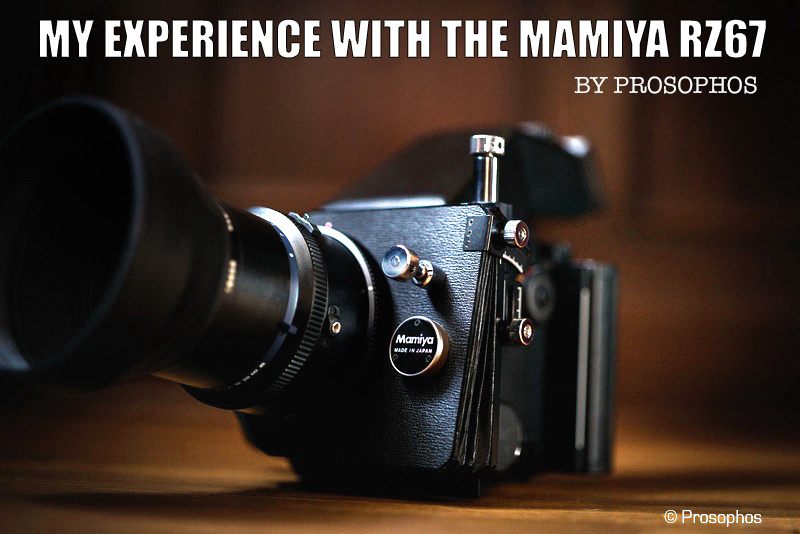 Finally, since I prominently feature the name of my camera – the Mamiya RZ67 – in the title of this post, I suppose I should provide some information about it. However, getting into technical details would be beyond the intended scope of this post, so I won’t discuss any of that here. What I will say is this: contrary to my initial apprehension, I’ve found this camera a joy to use. The RZ67 was obviously designed for photographers and it’s clearly engineered to mitigate the sometimes foolish things we do to mess up shots and ruin rolls of film. With this camera it’s difficult to get into any sort of trouble because it is virtually fool-proof. I wish all modern cameras were as thoughtfully designed. It’s a large camera for sure, but it’s modular, allowing you to switch film backs and lenses and viewfinders and film orientation, and so on… on the fly. But, it never gets in the way of the photographer and in the end he/she is left unencumbered to click the shutter and get the shot. I’ve unfairly limited most of the discussion above to the Mamiya’s sensor size, but I would be remiss if I didn’t comment a little about the Mamiya 110/2.8 lens I use. 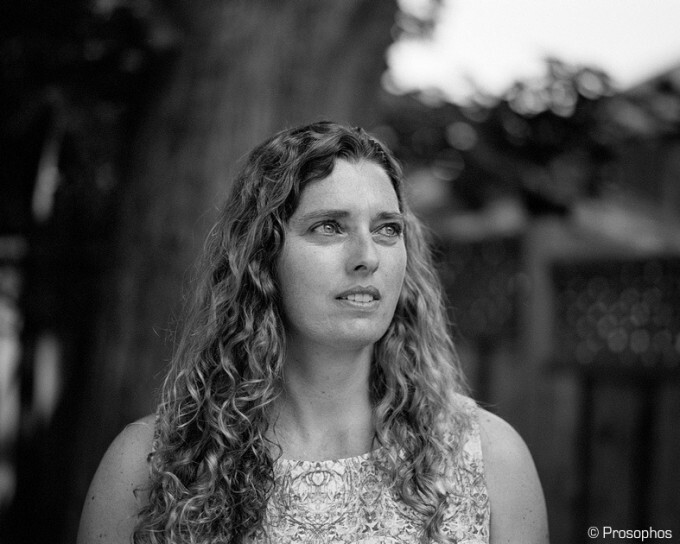 Simply put, it is my favourite lens for portraiture. Combined with the built-in bellows function of the RZ67 – which allows you to get really close to your subject – it’s a portrait photographer’s dream. Currently, you can pick up the gear I use for the price of a digital compact, so if you’re even remotely interested, I would certainly recommend that you “go for it”. 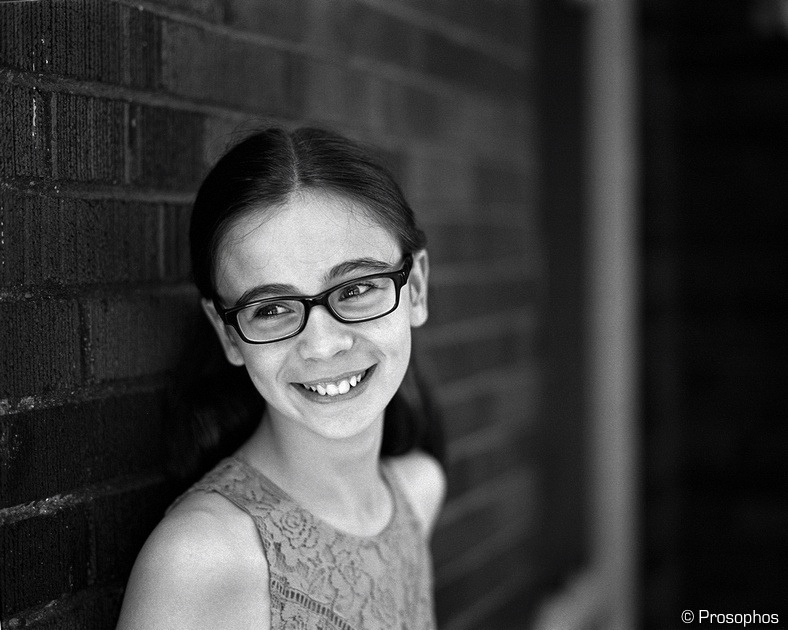 All of these were shot within 200 feet of my house (inside joke) with the Mamiya RZ67 and the aforementioned 110mm f/2.8 lens using either Kodak Tri-X 400 or Portra 400 film. 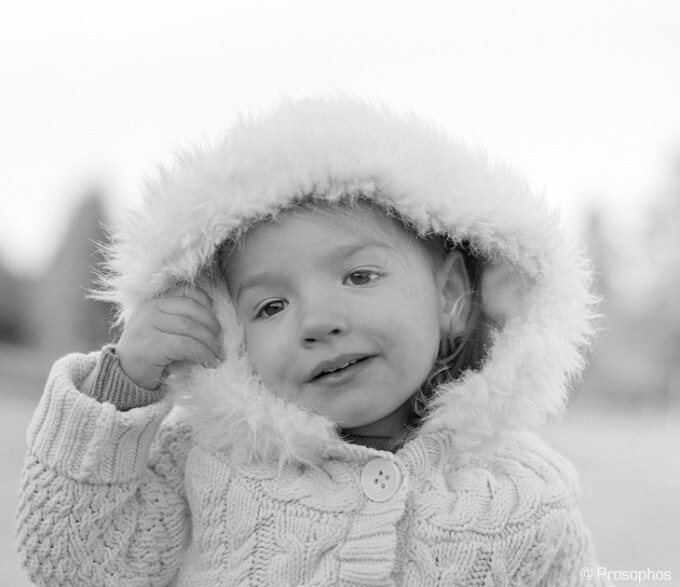 I develop the Tri-X myself, hence most of my photographs are in B&W. Your renderings, are a breath of Fresh air; in the Photograpic realm. A concentration on Image, FEEL; and Tone … Not the latest Dig….. I immediately smiled at your first Image – out of the Box . . ! H a ! It is, as the Movie Producers already know – Irreplaceable ! And Steve, thank you for Hosting . . . I was never a big fan of using the Mamiya 67s. 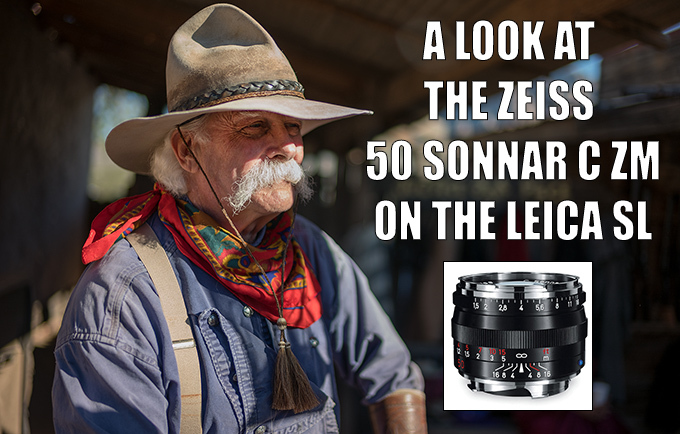 The lenses rivalled anything that Zeiss made for the Blads but I just couldn’t get my head around using a medium format camera that was that big. I tried because I loved the lenses but had to give them up for Hasselblad. I was already using 4×5 in the studio and on location and I just didn’t need more big gear to pack and carry. And the Mamiya was just not as portable as the Blads and you got a couple of extra frames per roll from the 6×6 which was also a factor. I know that seems like nothing in today’s world of hundreds of shots on a card but in the film days going from 10(or was it 8? I can’t remember) to 12 shots on a roll was a big deal. A little less film loading to be done. Thanks for this walk down memory lane and I may just dig out that one Hasselblad I kept and shoot some film. I forgot how beautiful film can be. So while I CAN hear him in my head as I look at your photos, I’ll say I really do appreciate your fight (if you will) for good photos. The fetishism for gear and abandonment of the quest for great photos has reached epidemic levels… But thankfully it seems like you genuinely tried to just get great photos and not get ‘lost in the sauce’ with your cool big-gun retro gear. ANGRY BIRD KID is surprisingly successful. I like the way it violates all the ‘pro tip’ rules yet still works well. (No rule of 3rds. completely center cropped, viewer eye contact. kid photo etc.) The kid’s skin looks like porcelain with that grain and you’ve captured him/her in that perfect expression between natural and posed. well done. 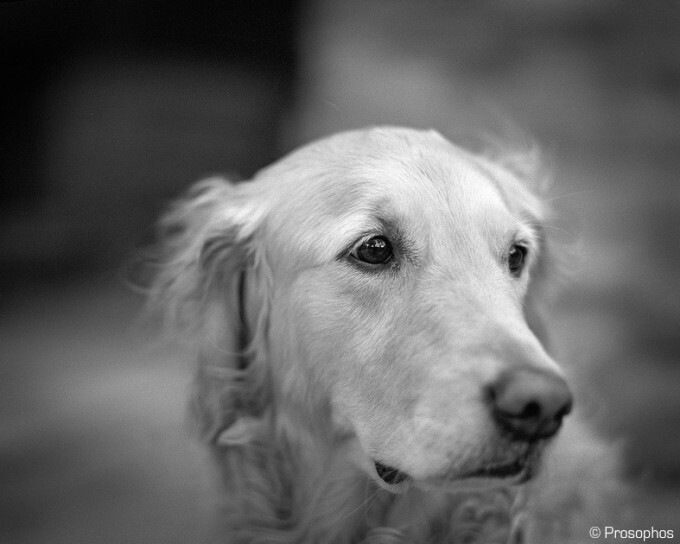 WISTFUL GOLDEN RETRIEVER also is successful. In this photo you’ve taken advantage of the human tendency to anthropomorphize everything and it give this shot of a dog some deep emotion the likes of which we are used to seeing on people. In all the shots, the grain is just wonderful. I dunno, something about it, it just speaks to us in positive way that I can’t express. Hipsters talk about warmth etc… but it’s more than that. You seem to completely miss the point. Photography is about why not what. Most contemporary portrait work is centre subject composed, and any subject is relevant…..as long as the ‘why’ is good enough….the theory. To be honest the images are average at best, compare to portrait photographers who use this camera all the time not a Nikon user having a go. Not sure what Arlo said (or why) but I doubt he can see the quality in the presented images simply based on his comment. 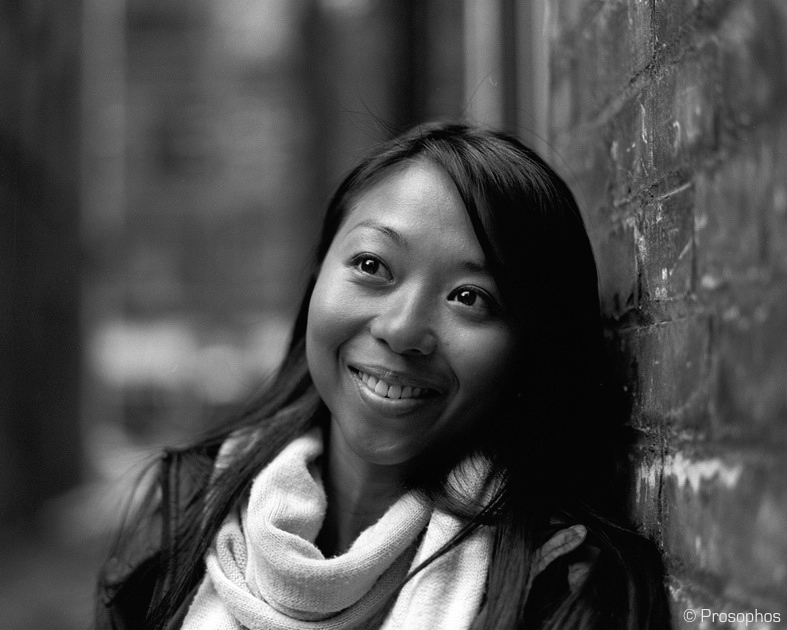 Too bad, pics are really good and bring out lots of charm that can only be associated with film photography. And what is wrong with a “Nikon user having a go”? Care to elaborate, or was it just drop-and-leave-forever comment? That’s very kind of you Witold… thank you. Thanks for this post. My RZ gear has been idle for a decade, time to put it to good use again. Beautiful images. For photography I think both digital and film have their own place, but besides everything else people mentioned (the delicate in and out of focus, colors and B&W), the grain is lovely overall! Thanks! Very nice and beautiful images, really. But i dont agree with your point that says “a look can be achieved with bigger formats that you cannot replicate on 35mm sensors”. i dont think these images look very different to a fullframe camera. I use a A7RII with the leica summilux 50 asph and to be honest, would you have said that those were shot with an A7RII and a leica summilux 50 i would have believed you. That doesnt mean that what you did is wrong or that the camera is bad, i think it just perfectly proved myself that the A7RII is a phenomenal camera, capable of more than what other 35mm cameras can. For landscapes or architecture on the other hand, i think a difference would have been more visible. You cannot see the difference between a 6×7 format and 35mm format sensor?? A $3800 35mm format lens will not make your Sony suddenly have the same 3d look. In fact, the opposite of your statement is correct, you lose the effect with landscape and architecture. I shoot with a D810 and no matter what lens I put on it, it cannot achieve the same look as even my Contax, let alone a 6×7. Dude, understand field of view and background compression you achieve with longer lenses. Larger real estate of exposing medium does have its own look. (I.e. 110mm of RZ = 50mm of FF but barrel distortion is far from identical at same composition). Just my two cents. If anyone is interested, there’s an article in today’s NY Times on the Polaroid 20×24 (inches) instant film camera and portrait photographer Elsa Dorfman who uses it. That equals over 500 x 600 mm of image area, or more than 80 times the area of even the RZ67 negative. What an excellent arrangement of photographs! Thanks for sharing! I think my Bronica is coming out of the cupboard ND the HP5 out of the fridge. Lovely! I really like the B&W images. So many portrait shots seem to be so much better when shot in B&W. Not sure why. Maybe it eliminates a lot of color clashes and distractions. No need for excuses, these shots are nice. Large format film sure looks great, still has something digital lacks. When I grow up I want to be as good as you. These are really fantastic. 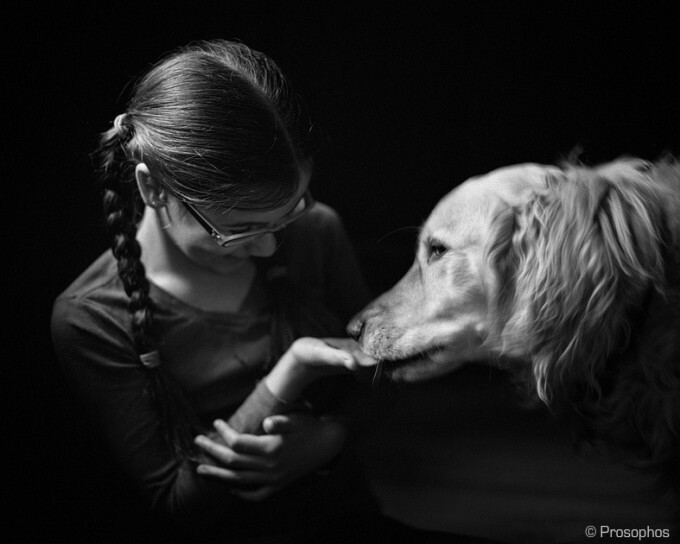 I was blown away by the chiaroscuro in the girl and dog photo, especially. I love shooting medium format film. Hate scanning film, but I usually prefer the results. Peter — love the inside joke and yes, these are nice. Am inspired! my RZ67 just lying idle for almost 2 years. Now it’s time to go out and make some photos! Gorgeous photos. Really makes me regret selling my hasselblad 503cxi. It was just a real pain getting my film developed where I live now. I just had a look on ebay and you can pick up one of these for pretty cheap. We’re all of these taken with the 110mm lens? Have you had any experience with the 90mm or any others? Fantastic images! You really brought out the best in the rz67. Now tell us more about the new ccd camera you are testing. Nice images Peter, and good to see you here again. Happy New Year! Wow, stunning images. Some of the best I’ve seen here. Nice work!! Makes me want to get back into the film game!! Nice work. I also like the photo with the girl and lab as my favorite. The richness and depth in these shots is something I’d die for, literally! These are as good as some of the shots made by the older masters of photography, your talent is without reproach. FWIW: The RB67 was released when I was in college and I just retired a few months ago. That makes this camera design 45 years old. I think the RB67 evolved into the RZ67 sometime around 1982. Other great cameras from that era include the Rollei 66 and a Fuji 6×8. All of these cameras are outstanding. Every young pro shot MF back then. I first went with a Mamiya C330 for weddings etc. and then with a Hasselblad 500C because it was smaller and lighter. Today these cameras are very inexpensive and some take digital backs. PhaseOne even made a scanback for the RZ67 making it a 105 MB digital studio camera. Enjoyed this post and seeing your work here again Peter. Indeed some striking images. Looking forward to seeing new photographic adventures this year, Happy New Year! 200m from home……you need to get out more! Yep ! Got the Fuji GW 690 and the 6×9 is just awesome ! 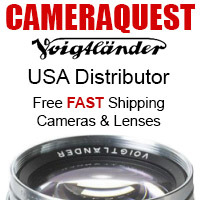 The lens is great on that camera, very smooth rendering, it prints big (80 inches easy). I also had the Pentax 6×7, that was a great camera too but couldn’t be satisfied with the prints, very harsh, missing something when printed. 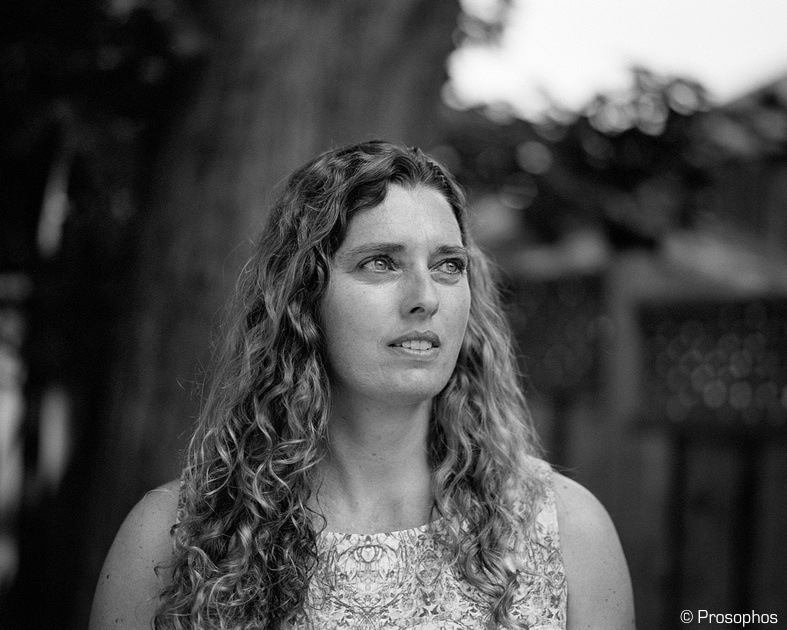 Also tried the Bessa 677 Wide and that’s a great one too, very very smooth, beautiful and very handily…. Oh, and by the way Prosphos, great pictures (as usual) ! Superb photos my favourite is the child with the dog – beautiful light. 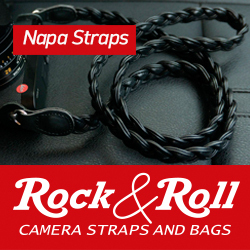 I would suggest that its the equipment that helps you to take great photos. You never mentioned how you scanned the film, a very important step. 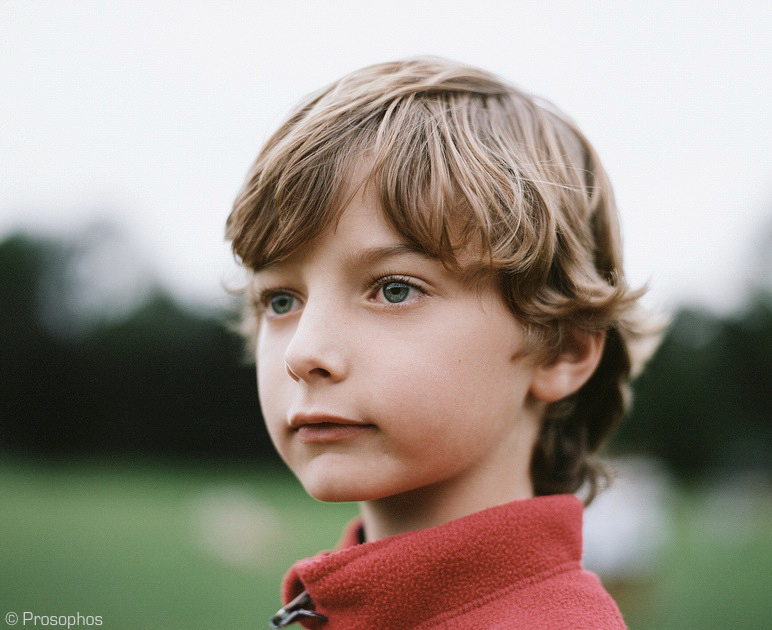 Having done years of comparisons between scanned film and digital, digital has won. Yes, I too would appreciate a few words about your scanning technique. Thanks. But the “..separation of subject matter from the background..” isn’t anything to do with the sensor (or the film); it’s a property of the lens which you choose to use. And larger sensors, or larger film, need longer focal lengths to deliver looks which are similar to 35mm sensors / film. 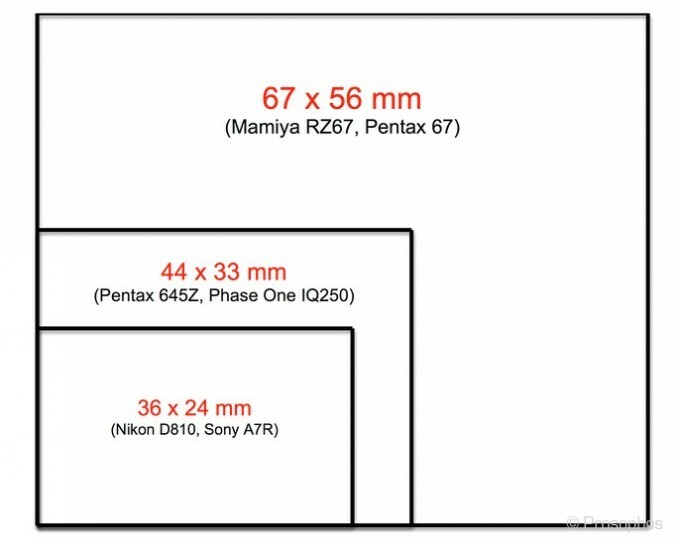 You’re using a 110mm lens at f/2.8 ..which is equivalent to using a 55mm lens at 1.4 on a sensor one quarter the size of your 67x56mm film ..i.e; roughly 35mm film or a 36x24mm “full frame” sensor. So your “separation” is similar to what you’d get on 35mm with, say, a 50mm f1.2 lens. You’ve got terrific resolution (sharpness and gradation) with the films you’re using, but the “separation” isn’t a property of the film; it’s the lens. Happy New Year, and lovely pics! David, my I humbly suggest film and digital, leaving all other factors out of the equation, have different “separation” characteristics? I think that is what Prosophos meant, and I tend to agree with him. Some digital images are laudedcfor their 3D, pop, separation, but to my eyes look simply unnatural, like the subject was cut out of cardboard and stuck in front of a background. Film does’t do that. Good description, “cut out of cardboard”. A description that I’ve heard before, but usually from non photographers. That “look” also makes images look more sharp, and illusion. 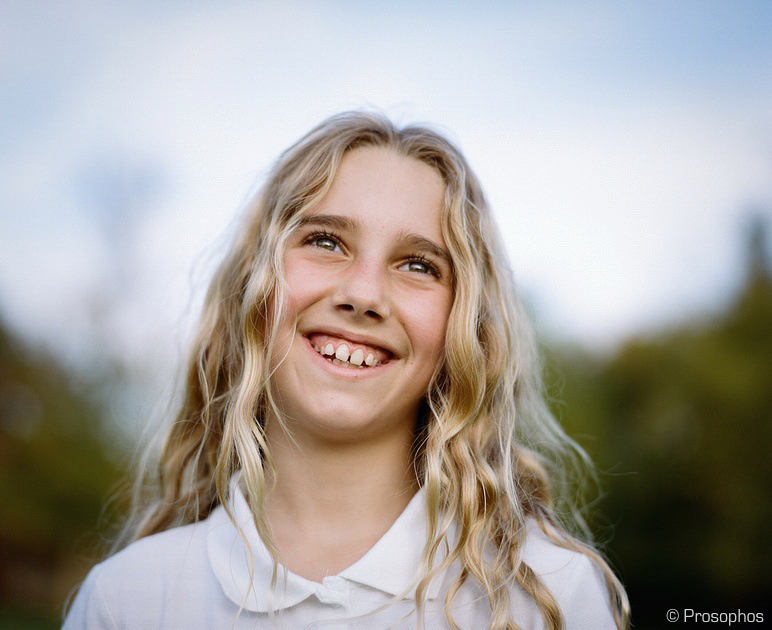 Photographers tend to be hooked on “sharpness” to define the quality of images. That’s interesting… in a recent interview with a gallery owner, Tim Parkin asked about the response to the digital and film sourced images exhibited. The photographer said that non photographers noticeably gravitated to the film based prints. Maybe photographers still, relatively, in the early days of digital and keen to see ongoing improvements to their equipment and photographs are hit by increases in resolution (pixel peeping?) so appreciate the sharpness and saturation of digital cameras? But these pictures demonstrate for me, again, that I tend to like the look of film more than most digital work. I’m absolutely sure there is something in it and that it’s hard to disguise the digital origin of colour especially, perhaps the gentleness of the tones and highlights in film? You`re absolutely right. All this babble about 3-D pop of “you know which lenses” on megamega pixel newest cameras comes to dead end comparing with film. Sensor with it`s micron thin pixels is 2-D while film having three layers of Much bigger thickness is 3-D if any. I wouldn’t know, Michiel, without using the same lens(es) on both film and also on a digital sensor, and then examining the results ..although I’ve got a couple of pics here which I shot with the same Leica 50mm f1.4 – at f1.4, wide open – on fine-grain ISO 800 colour film (with a Leica M3) and on a digital M9 (at ISO 640) and ..if I didn’t know which was which.. I wouldn’t be able to spot the difference. Perhaps that’s why you see a difference. I could upload the two pictures, and then maybe you – and others – can tell me which is which ..you’d have a 50% chance of being right, so it wouldn’t be a definitive test! Nicely explained, David. Really appreciate your input here based on your experience. There are three photos there; Couple A, Couple B and Triple. Which of those last three – if any – were shot on film, and which – if any – were shot with a digital camera, and how might you tell, and how can you be sure? (There is no EXIF info, and they’ve all been resized to the same width). @ David – Thanks. Couple A digital, Couple B and Triple film. Just guessing, of course. I would love to see the same scene shot with film and digitally using the same lens. No: one out of three correct. But you were just guessing.. Correction: two out of three correct ..but which two? Thanks David and a very Happy New Year to you as well! I think you’re right; in digital images the (over) sharpening (by default?) particularly of edges might lead to the effect I described. I can’t think of a good example oofhand, but have a look at the cowboy image in one of the other posts, and tell me what you think. Different lenses have a different kind of “transition” from in-focus to out-of-focus: some fade softly from in to out ..such as the Leica 50mm f1.4 ‘ASPH’ (the latest ‘Summilux’) because the out-of-focus blur is very gentle. Others, which give, for example, slightly harsh ‘rings’ in out-of-focus areas, tend to shift what looks like rather abruptly from in-focus to out-of-focus ..which can give that impression of a ‘cardboard cut-out’ where they seem to abruptly end the in-focus region. So in Steve’s cowboy shot, the face and shirt and (his) right-hand braces strap are in very sharp focus, his hat brim and right shoulder are out of focus, and the edge of his left arm is quite out of focus. Along that left arm is a kind of sharp edge along the out-of-focus line, but I think that’s a characteristic of that lens: look at the out-of-focus highlights just to our right of his left shoulder; the circular blobby highlights have a kind of sharp cylindrical edge. (..How I hate talking about all these technicalities, instead of the CONTENT of photos!..) Steve says himself in that article “..it has a way of creating bokeh that can, at times, be nervous and odd”. In the second-from-bottom pic “Head and hand” you’ll see that the woman’s left arm – also out of focus, like Steve’s cowboy’s – fades softly into the background, with – unlike the cowboy’s – NO hard edge. That’s the Summilux, as compared with the Zeiss 50 C.
But in the bottom picture, “Two women”, you’ll see that – because I focused on the right-hand woman at f1.4, at about 7 or 8 feet away – the right-hand woman appears to be a ‘cardboard cut-out’ ..very sharp and also sharply differentiated from the background – just look at her head, shoulders and ear-rings.. (and the foreground woman is out of focus). So the ‘cardboard cut-out’ appearance depends, I think, partly on ‘post-processing’, but also on the type (brand, make) of lens used, as well as its focal length, and also the distance of a person, or thing, from their background, and several other factors. But I don’t think that it’s primarily a matter of whether shot on film or sensor. The nearest I have to similar – not identical, I’m afraid – shots on film and digitally with the same lens are those two ‘Couples’ shots just above the last two shots on that page. They’re both shot outdoors at – roughly – similar distance and with the same lens (50mm Summilux at f1.4) and the upper one (Couple A) was shot digitally, and the lower (Couple B) was shot on film – as W.P. guessed. So,”.. in answer to your query, they’re written down for me..” says Holden in “Blade Runner”. No; I mean in answer to your point “..have a look at the cowboy image in one of the other posts, and tell me what you think..” I think that the sharpish differentiation between the cowboy’s arm and his background is a characteristic of that Zeiss 50mm lens. The ‘cardboard cut-out’ appearance is also a feature of the particular separation between whatever’s been focused on and the distance to the out-of-focus background behind it. 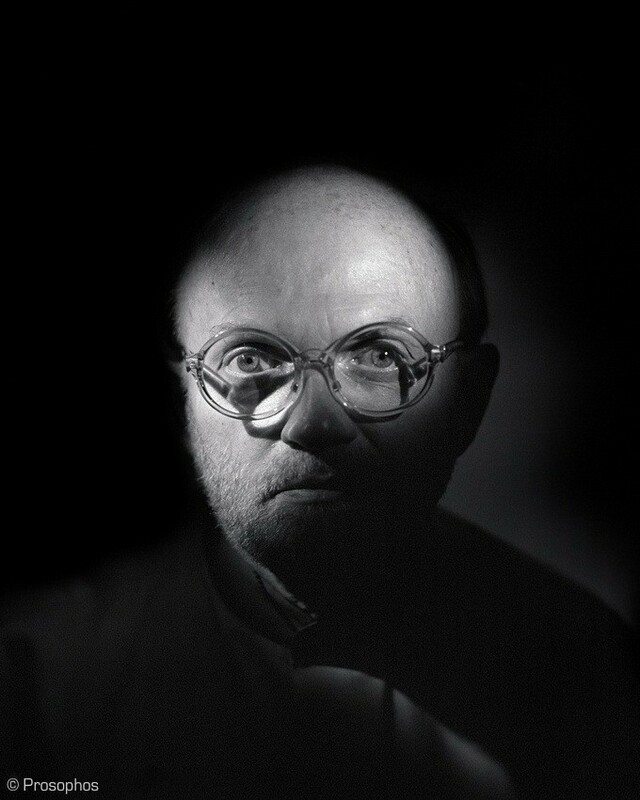 And in the days of film before the ‘digital age’, many lenses did not achieve the distinction – or cut-off – between a very sharp, contrasty in-focus region and an extremely blurred very soft bokeh background, and so one tends to think of the smoother blending of a person and their background as being a characteristic of film. I don’t think it is. I think that the change to extremely sharp in-focus details through improved lens capability happened at about the same time as the change-over to digital photography, partly because the demands upon lenses became different with the advent of sensors – which need so-called ‘tele centric’ lenses (see Wikipedia https://en.wikipedia.org/wiki/Telecentric_lens ). These lens alterations can produce sharper differentiation between in-focus and out-of-focus regions than previously seen with lenses which were used in the film era, and so perhaps an idea has grown that film itself doesn’t produce these ‘cardboard cut-outs’ in the way that digital photography does (..and there’s also a lot of sharpening done, too, on many digital images). But I don’t see that much difference between well-shot images on film and those shot on a sensor ..with the same lens. Perhaps you could take some comparison shots for us, Michiel, with the same lens on both kinds of camera, and then show us the results! The rendering of that lens is really amazing. Yes, they are “lovely pics”. Beautiful portraits, with that classic film look, thank you. Peter, you needn’t worry about others’ opinions, these are superb images that are simply out of the range of just about any reasonably-sized camera I can think of right now. I have never seen anything with this kind of nostalgic atmosphere — and your compositions are impeccable. Great stuff ! It’s funny how the rendering somehow reminds me of the APO 50mm Leica or even the regular Summircron. 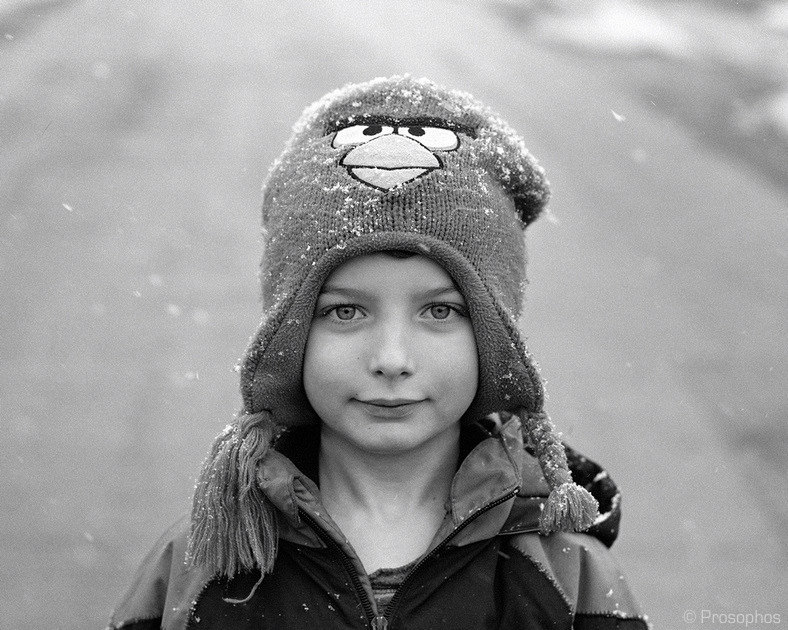 This still wants me to get into larger format photography…dang this bokeh is nice.